Source: The American Diabetes Association Diabetes Comfort Food Cookbook. Recipe Credit: Robyn Webb. Photo Credit: Renee Comet. The most satisfying comfort soup in my opinion is creamy and cheesy. 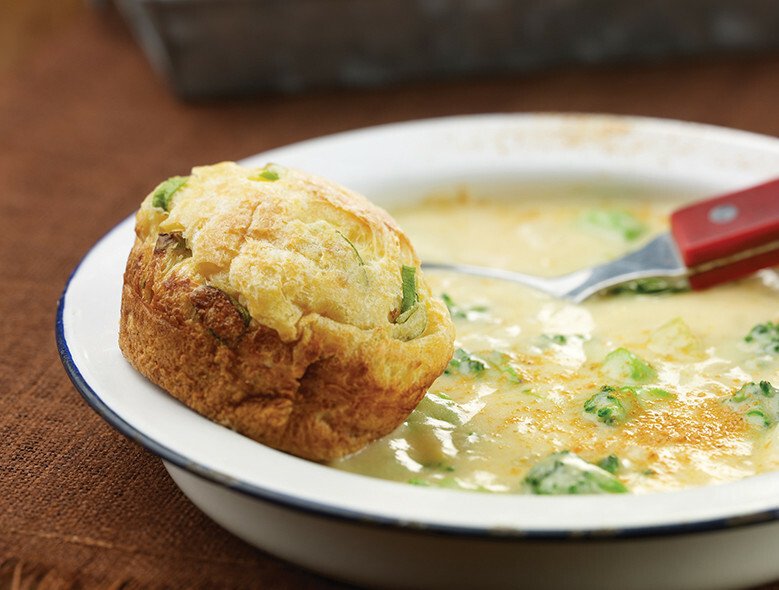 As a kid, Cheddar Cheese and Broccoli Soup was always a staple in our kitchen; however, this version has been slimmed down considerably. Trim and peel broccoli stems. Cut off 15 small florets. Coarsely chop enough remaining broccoli to equal 2 cups. Blanch chopped broccoli and florets in boiling water just until bright green, about 2 minutes. Drain and set aside. Add chopped broccoli, cheese, pepper, nutmeg, and salt. Stir until cheese melts and soup is heated through, about 3 minutes. Garnish each bowl with reserved broccoli florets.